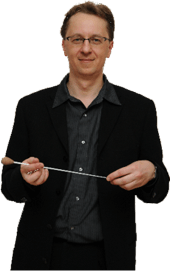 The composer of CATcerto, Mindaugas Piecaitis, is coming to the US for the very first time to meet me this month. This is very exciting. As you probably recall, he wrote the piece based on my playing, and a video of me is projected behind the orchestra during the performance, to which the other musicians play along. It has been performed numerous times by orchestras around the world. Photos and video of our meeting will be posted. I can’t wait. I hope he likes me in person as much as he liked me on video. Miss Nora this is major! Such exciting news! Can’t wait to hear how it goes. How exciting, Nora! Can wait to see the pictures! Very very very nice! This catty seems in love with her piano. The conductor has to thank her at the end! And her two friend-cats has to applaud. I am Dutch. Our cats are fans now! Thank you, my day is richly filled with joy. such a joy to listen to you nora!